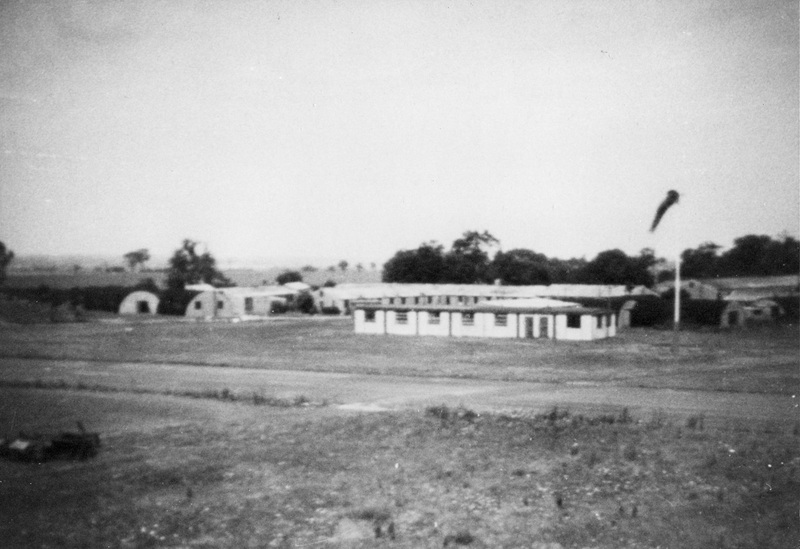 Buildings and windsock. At runway side of the technical centre. oposite the perimeter track to control tower. Aerial photo, technical centre at top. 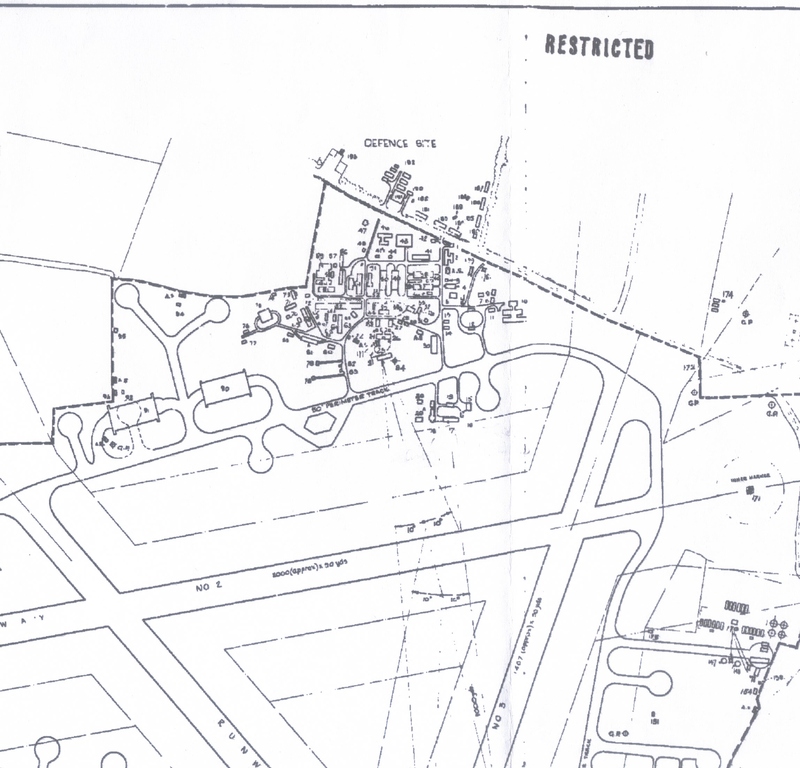 Plan of thechnical centre,the control tower is on runway side of perimeter track to technical centre. 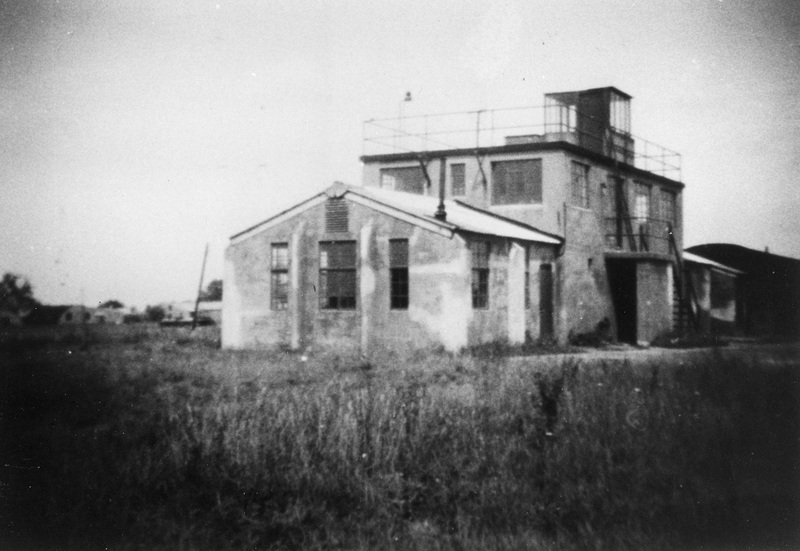 The control tower, since converted into a house. 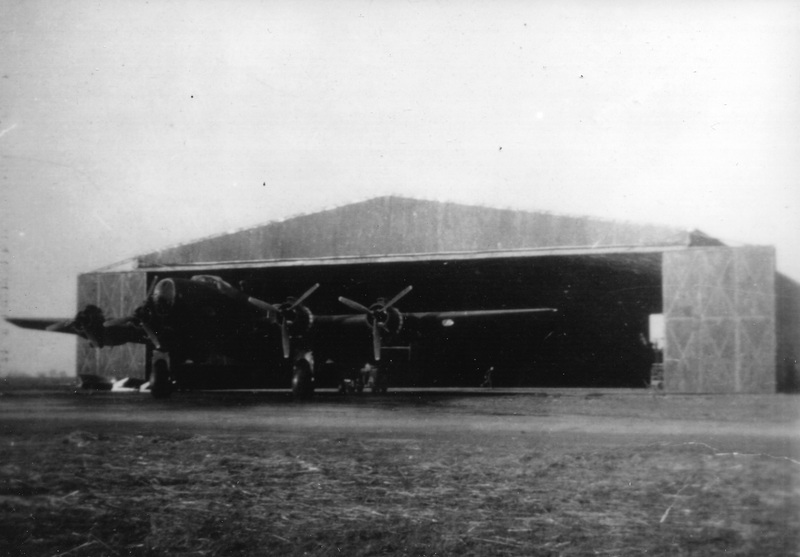 An airccraft shed (hanger) probably a Type 2 (T2) There are two to the left of the technical centre on the plans. 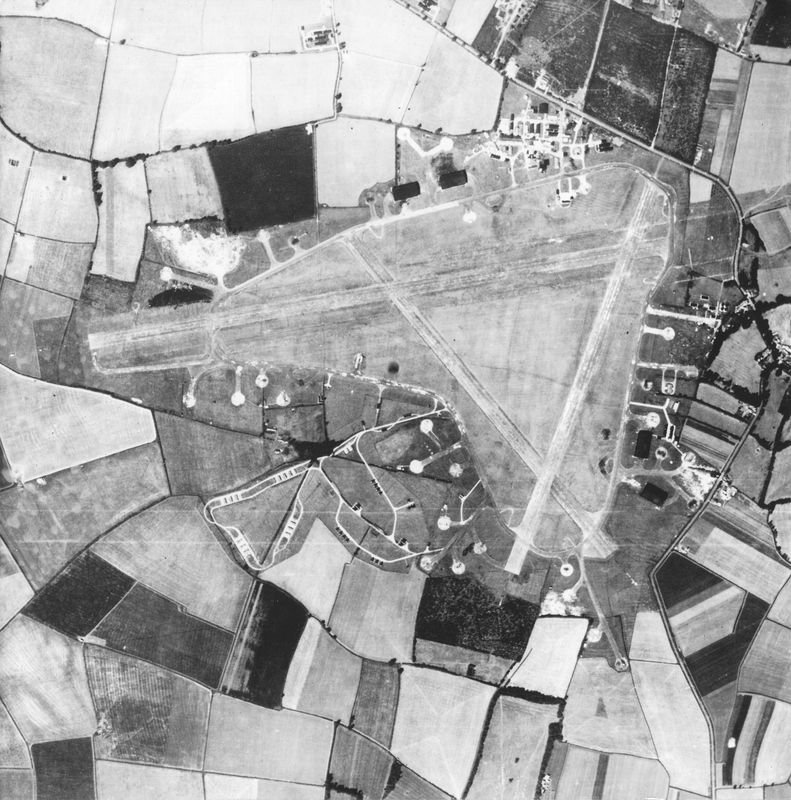 If you have any photos of the airfield I would be most grateful if you would share them with me, use the contact page and we can discuss the use on this site.